Mathematicians could not stop pondering George’s new Boolean world! They kept coming up with interesting puzzles. We used this arrangement to show how to build truth tables from George’s Algebra. The AND, OR, and XOR tables wre shown earlier. These mathematician folks wondered if there were any other interesting tables they could form. To find out they noted that the truth tables produced four output values. That make sense if we define a function as an operation that maps two input variables into one output value. Each row in the truth table tells us how this particular function works. These functions are not like others you are used to, like sqrt. These functions are digital in nature, they take in discrete digital values (0 or 1) as a value for each input, and return a single digital value (again 0 or 1). Each column in this table is a unique truth table for one function. You should to fill in the missing entries as an exercise. We are going to model a real computer. We will build this machine out of simple components. Those components take in a certain number of input signals, each a Boolean variable. They will output one or more output values, with values of 0 or 1! We can model what they do inside using a simple table that lists all possible output values. We look at the inputs, then simply look up the desired output values and return them. The table is just a tiny array of numbers indexed by those input variables! Cool! This is exactly how new gadgets called Field Programmable Gate Arrays are programmed. Basically, these little machines have a slew of Look Up Tables that you can “program” to create some digital thing. You can then stitch together all of your small widgets to form a bigger one. Some of these FPGA have millions of these basic building blocks, and you can program then to become a real computer we can fire up and run. Chip designers use these things to test out a design. 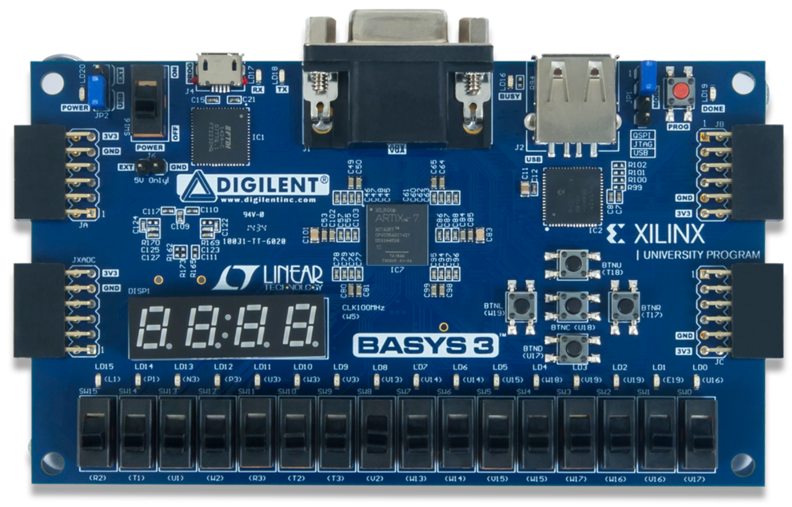 When it is working properly, they send the code they wrote to program the FPGA to a simple conversion program called a “synthesizer” that churns out a real computer chip that they can fabricate. Hardware design has morphed into a software design problem! Wow!